Just like every month (check January if you missed it), we’re here with a fresh list of the best iOS apps and games to help you get the most out of your iPhone or iPad. Since the start of this year, iOS developers large and small have been busy releasing and polishing interesting, addicting, and innovative apps, and we know which of them are worth your time and money the most. It’s hard not to think that Getting Over It with Bennett Foddy was created for the sole purpose of inflicting as much emotional pain to the player as is humanly possible. The goal is simple: climb up a steep mountain made out of various objects and rocks using a heavy hammer. The hammer itself is far from the perfect tool for climbing, but it takes just one small mistake, and you end right back where you started. And as if that wasn’t enough, the narrator, who is also the game’s creator, keeps discussing various philosophical topics and providing quotations relating to disappointment and perseverance—usually right after the player makes a crucial mistake. While the record for completing Getting Over It with Bennett Foddy is just 2 minutes, players typically spend hours and days trying to reach the end of the game, and most spend even more time trying to get over the soul-crushing disappointment that follows every mistake. Sketch is a fun drawing app from Sony. It features a broad pallet of brushes, pens, and pencils, giving you plenty options how to express your creativity. Unlike professional digital drawing software solutions, everyone can pick up Sketch and start drawing right away and with no expensive accessories. When you create something you feel proud about, you can share it with a simple tap on social media or download it to your device. Sketch also allows you to participate in collaborations and build on the work of others, which is exactly how some of the most awe-inspiring art in the world has been created. Square Enix has finally published the abridged version of Final Fantasy XV for iOS, Final Fantasy XV: Pocket Edition. The Final Fantasy series of science fiction and fantasy roleplaying games doesn’t need any introduction as it has been around since 1987. Final Fantasy XV is set on the Earth-like world of Eos, which descended into chaos after the assassination of King Regis. You play as Noctis Lucis Caelum, the crown prince of Lucis, and your objective is to retake your homeland of Lucis and prevent it from falling under the dominion of the empire of Niflheim. To optimize the game for mobile devices, Square Enix has decided to switch the game to a fixed camera angle. Instead of using a D-pad control scheme to control the movement of characters, the player simply taps on the screen to indicate where he or she would like the characters to move. The only major downgrade compared to Final Fantasy XV is the elimination of the open world for performance reasons. 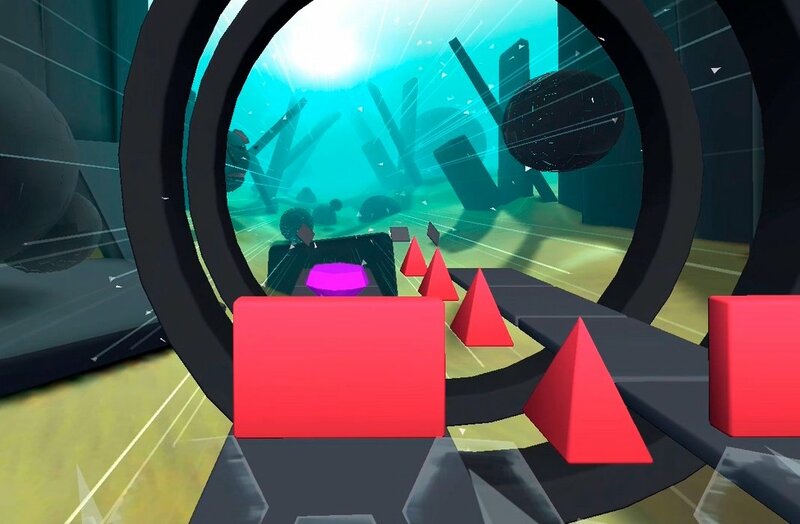 Glitch Dash is a newly released endless runner where you run through a deadly obstacle course and dodge hammers, axes, lasers, and geometric obstacles to make a perfect run for the ultimate bragging rights and a place in the global leaderboard. The game is still in early-access, so minor bugs are to be expected, but the developer has so far been very quick to respond to every bug report, and we’re convinced that the final product is going to be a hit. Die With Me is a fascinating social experiment. The app has been created by artist Dries Depoorter, who noticed that people tend to enter a state of panic when their smartphone is about to die because they only have a few percent of charge left. To explore this modern phenomenon created by our obsession with technology and always-on culture, Depoorter decided to create a chat app that would connect people with 5 percent of charge or lower. That’s right, Die With Me only works if your battery is about to die in the next few minutes. That means you won’t be able to use the app most of the time. But the conversations with total strangers that happen while your battery goes from 5 percent to 0 percent make you realize how intertwined our daily lives are with technology, reminding you how much the world has changed over the past decade. Tactone is arguably the most polished metronome app ever created. It has an elegant user interface that exposes all core features at a glance and its dynamic and natural acoustic sound, which has been physically modeled after a real metronome, is actually surprisingly pleasant to listen to. You can adjust the beat however you like using the on-screen controls, or you can simply tap out your tempo with a finger. Geek Room Décor: Start Your 2018 in Style!